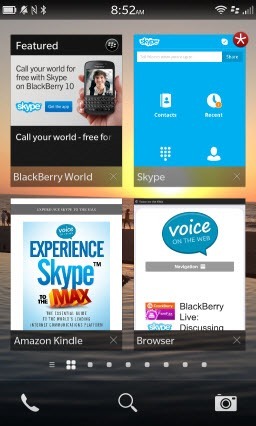 One announcement during last week’s BlackBerry Live keynote was the availability of BlackBerry 10.1 for the BlackBerry Z10. 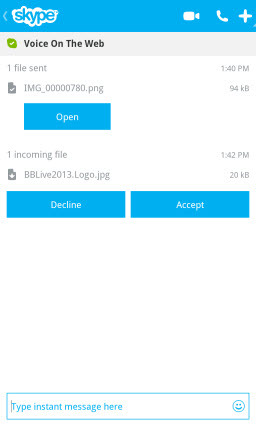 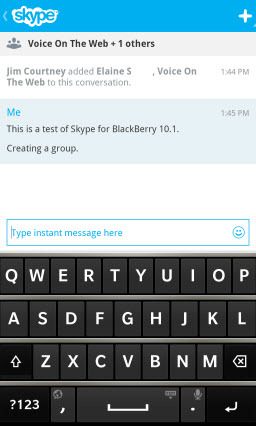 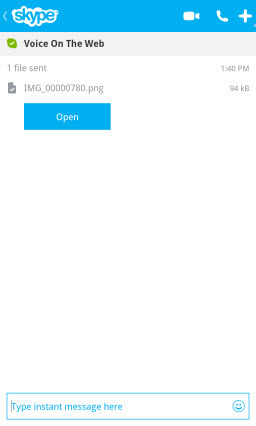 Which also meant that Skype for BlackBerry 10.1 (Preview), previously available on the Q10, became available for the BlackBerry Z10. 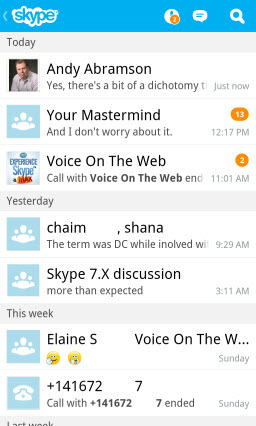 I had been testing it out on my Z10 for the previous couple of weeks and basically came to the conclusion that, finally, I had a mobile version of Skype that allowed me to walk away from my home office PC and still have access to all the key features of Skype. 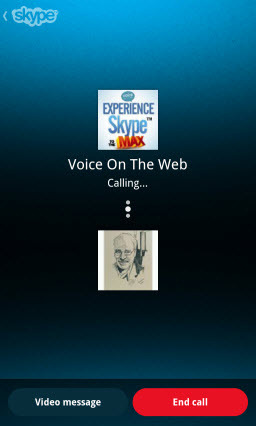 Just as significantly it is on a unique platform where Skype’s performance approaches the speed and spontaneity experienced when using Skype on my PC. 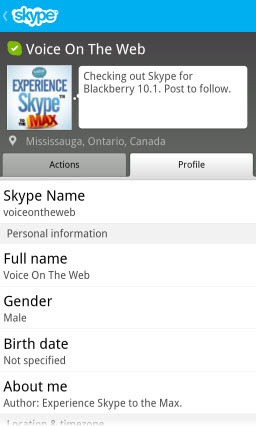 This was confirmed during BlackBerry Live where I had Skype for BlackBerry 10 open most of the week while attending sessions and networking with attendees. 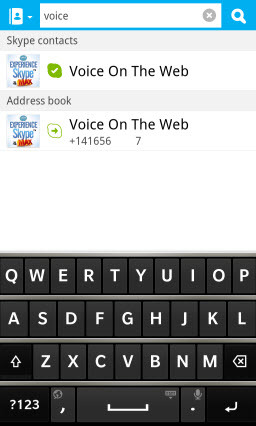 The predictive text keyboard is available for all chat messaging, editing and search activity. 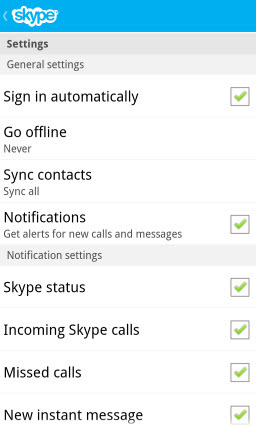 I have written about this feature previously. 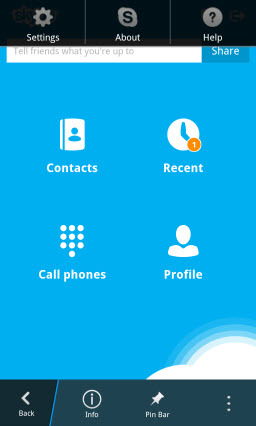 Background processing: When Skype goes into an Active Frame it continues to run; it simply takes a tap to bring it back to the foreground where you left it when going to another application. 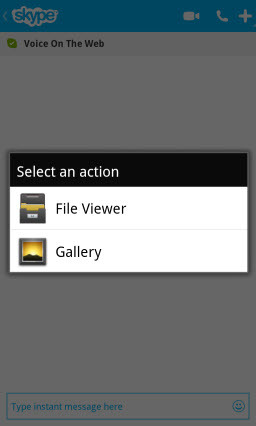 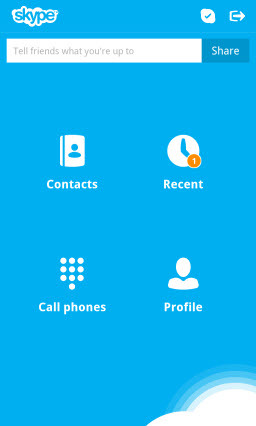 No need to hit a button or wait for the application to re-open or to resync conversations when you want it. 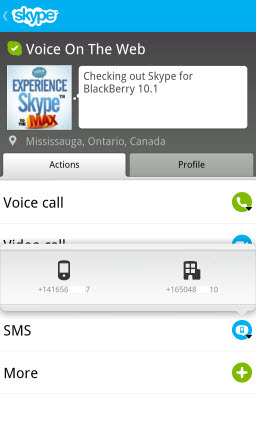 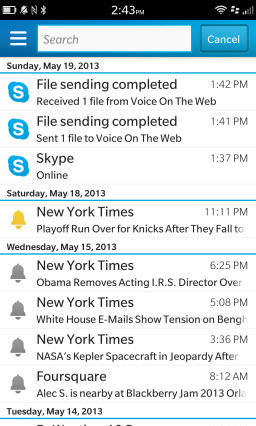 I could put as a fourth unique feature the ability to change the battery but hopefully the final version of Skype for BlackBerry 10 will also minimize battery drain when running (especially in the background). 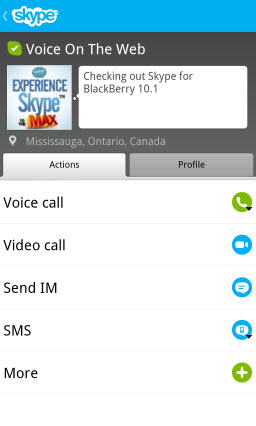 Upon initially installing Skype for BlackBerry 10, let the application run for 15 to 45 minutes as it does the integration into your BlackBerry contacts. 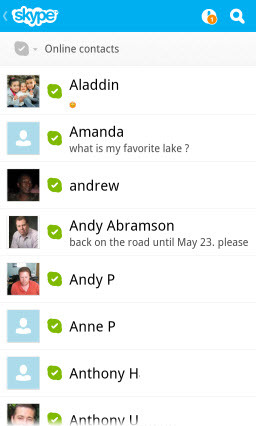 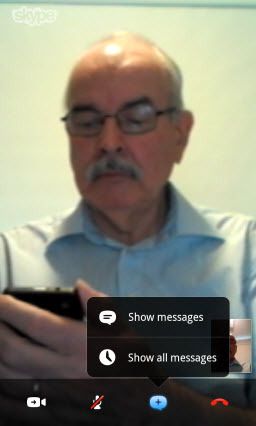 Only then is it ready to participate in chat, voice and video conversations. 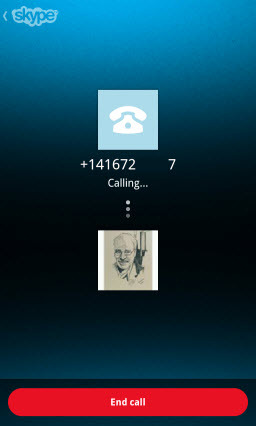 It took about 30 minutes to integrate my >800 Skype contacts. 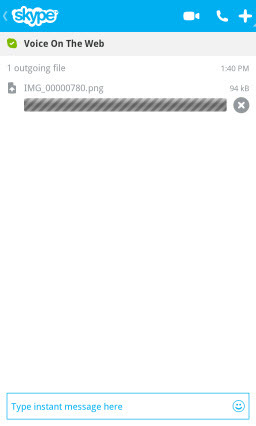 This is a one time delay when first opening it after installation. 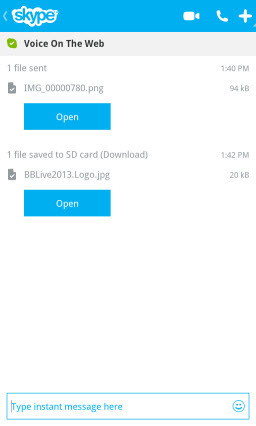 Based on a Built for BlackBerry presentation at BlackBerry Live I would hope to see a progress bar during this period in future updates. 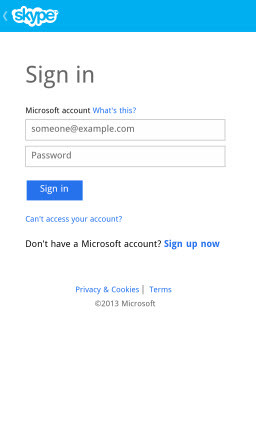 While you can login with your SkypeID, logging with the Microsoft ID incorporates your Live Messenger contacts provided you have linked your two accounts. 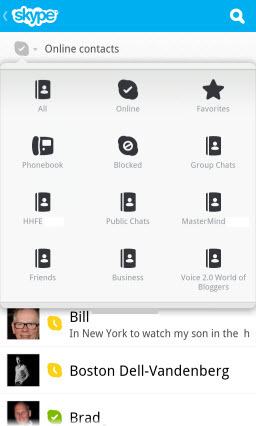 A couple of those “integration points” are included in the Preview, such as integrating Skype contacts into the native phone book and receiving Notifications in the BlackBerry 10 Hub when there is Skype activity (login, chat messages, file transfer, etc.). 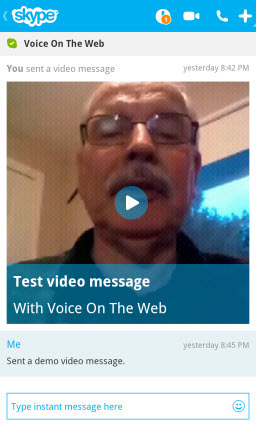 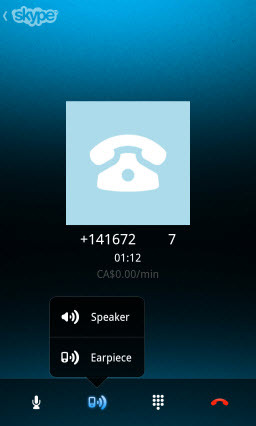 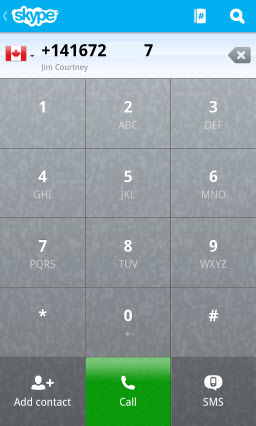 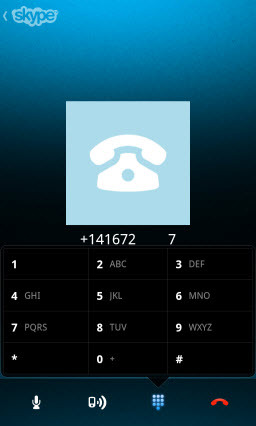 From a technical perspective, one of the “Additional Screenshots” above shows the Call Technical Information accessible as an option during a call. 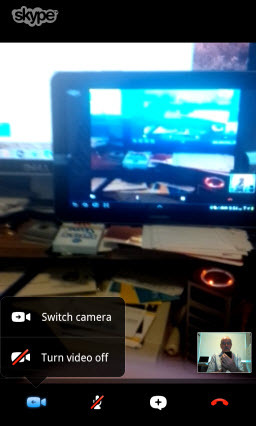 320 x 240 resolution at 15 fps, using Skype’s SILK audio codec and H.264 video codec demonstrate there is no compromise from Skype for Android. 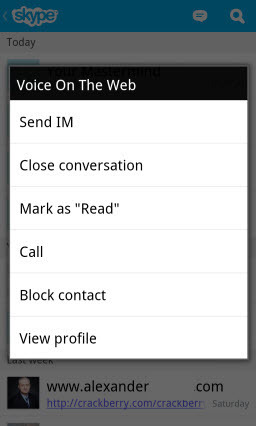 It’s still a Preview version; it has the occasional hangup because it’s an Android port; hopefully Android related issues will be addressed when BlackBerry 10 updates the Android player to support Jelly Bean, amongst other BlackBerry 10.2 features. Just restart the app if necessary and it works. 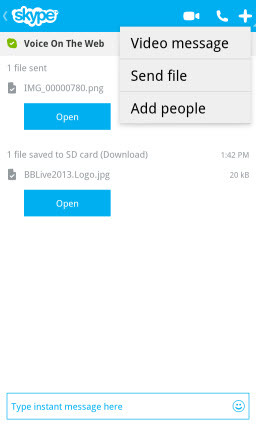 Occasionally I have similar issues with other Android ports but they work quite well and they provide a path towards encouraging developers to support BlackBerry 10. 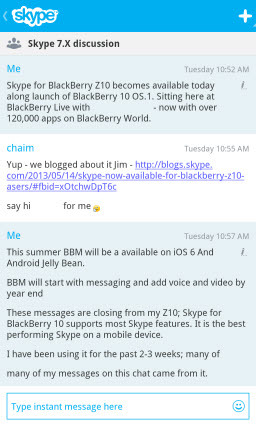 Bottom line: As stated during the CrackBerry Live interview, Skype for BlackBerry 10, even in its Preview state, provides the best performance by a Skype mobile application on any mobile platform. 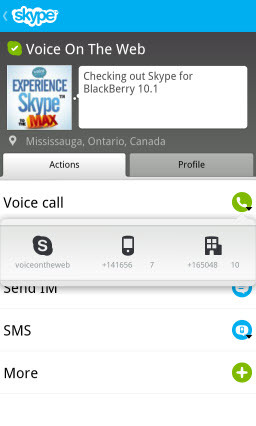 As outlined above, it’s the combination of both the feature set and the underlying robust, multi-tasking BlackBerry 10 OS platform that contribute to this conclusion. 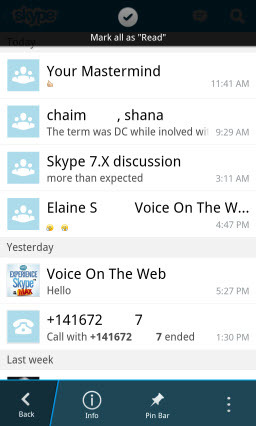 For the first time I feel that, when I leave the familiarity and convenience of running Skype on a PC, I can continue to access my Skype conversations when away from the home office with a similar user experience. 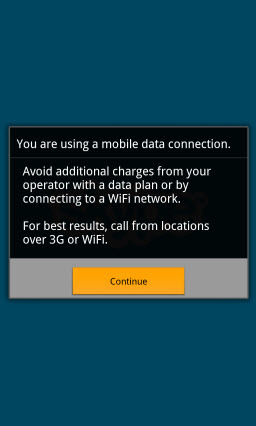 It was the combination of a recent family trip out of town followed by my experience at BlackBerry World that brought about this realization. 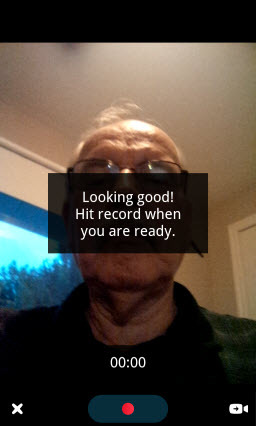 And the experience continued while using commuter transportation to and from a local event last night. 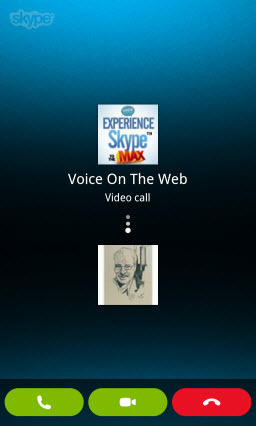 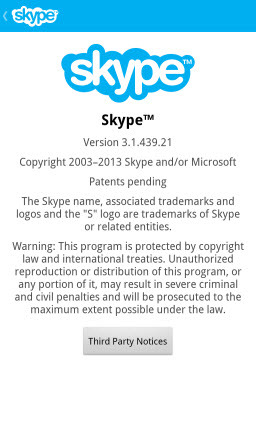 Just a reminder: you can get the full story about Skype, its evolution and its various features and end point platforms in Experience Skype to the Max.